The esophagus is a tube-like organ made up of a lining and surrounding smooth muscle. It brings food from the mouth to the stomach. As is true of any other body organ, cancer can develop in the esophagus. Esophageal cancer can be either squamous cell carcinoma (from the usual type of cells that line the esophagus) or adenocarcinoma (if the cells have experienced a change to gland-like tissue). Adenocarcinomas usually occur in persons who have gastroesophageal reflux disease (GERD), which can, if left untreated, change normal esophageal cells to gland-like adenomatous cells. This is called Barrett esophagus. The August 11, 2010, issue of JAMA includes an article reporting that bisphosphonate medications for osteoporosis are not associated with an increase in the risk of esophageal cancer. Gastroesophageal reflux disease (GERD) and Barrett esophagus make it much more likely that a person will have esophageal cancer. However, most individuals who have GERD or Barrett esophagus (especially if treated) will not develop esophageal cancer. Symptoms of esophageal cancer usually do not show up until the cancer is fairly advanced. They may include pain, dysphagia (difficulty swallowing), weight loss, poor appetite with a preference for soft foods, pneumonia, and fatigue. You should seek medical attention if you have any of these symptoms. The doctor will perform a medical history and a physical examination to determine if further tests are warranted. Tests for esophageal cancer include esophagogastroduodenoscopy (EGD), in which a lighted tube is passed from the mouth into the stomach, looking for abnormalities in the lining of the esophagus and stomach; biopsies (samples of tissue) can be taken during EGD. A barium swallow is an x-ray test that can show unhealthy areas in the esophagus and stomach after the patient drinks a barium contrast agent. Chest x-ray, computed tomography (CT), magnetic resonance imaging (MRI), blood testing, and positron emission tomography (PET) may also be part of the testing for esophageal cancer. Treatment for esophageal cancer depends on the location of the tumor and its spread. Surgical treatment may be offered, especially if the esophageal cancer is localized and has not metastasized (spread beyond the esophagus itself). Radiation therapy uses focused x-ray beams to reduce the size of the tumor and help with symptoms. Chemotherapy medications to kill cancer cells are often used to treat esophageal cancer. Palliative care, including nutritional supplements and pain control methods, can be an important part of the treatment plan. Esophageal cancer is often found at a late stage when cure is not possible. 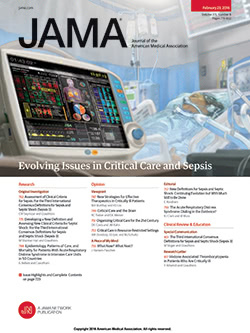 To find this and previous JAMA Patient Pages, go to the Patient Page Index on JAMA's Web site at http://www.jama.com. Many are available in English and Spanish. A Patient Page on stomach cancer was published in the May 5, 2010, issue and one on gastroesophageal reflux disease was published in the May 9, 2001, issue.